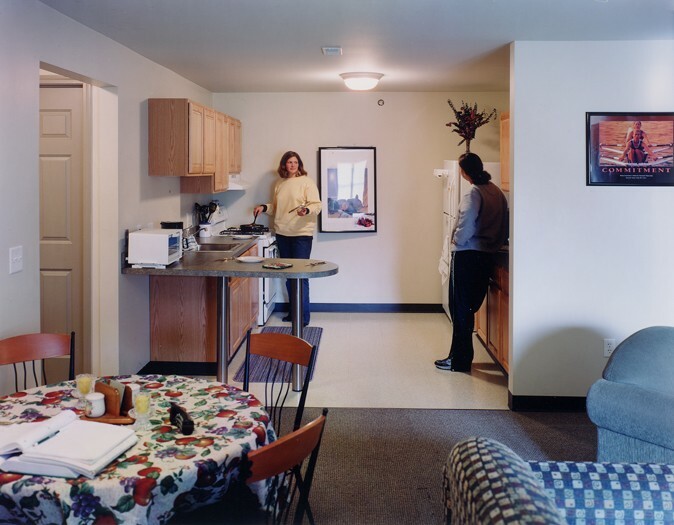 Students feel at home at this warm and inviting housing enclave that was designed to recall the craftsman style heritage which is much of this area’s legacy. 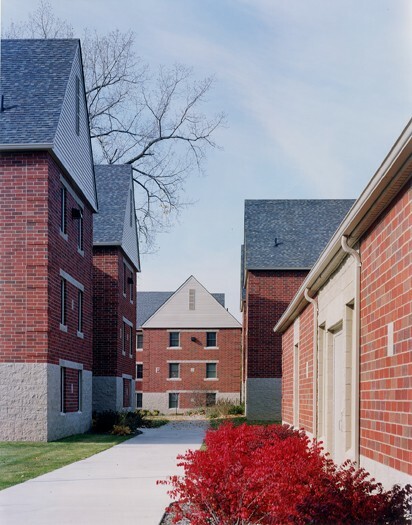 The combination of a rough masonry base, blended brick and steeply pitched roofs provides a cozy collegiate atmosphere to the residential village of 276 students. 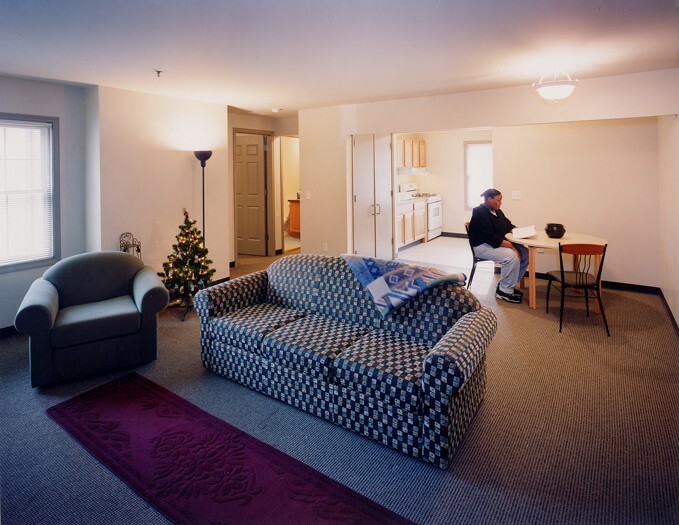 Each apartment contains four single bedrooms, two bathrooms, a full kitchen and a living/dining room. 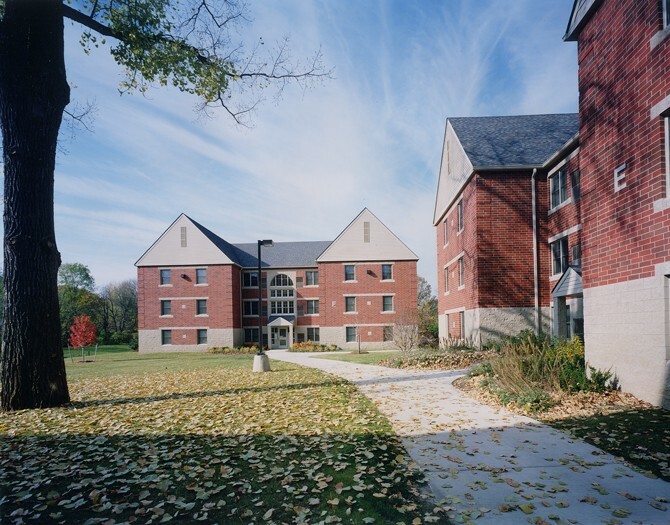 A welcoming central commons building provides multi-use rooms and a director’s residence with staff offices. A gathering space, mailboxes and vending also support student interaction. 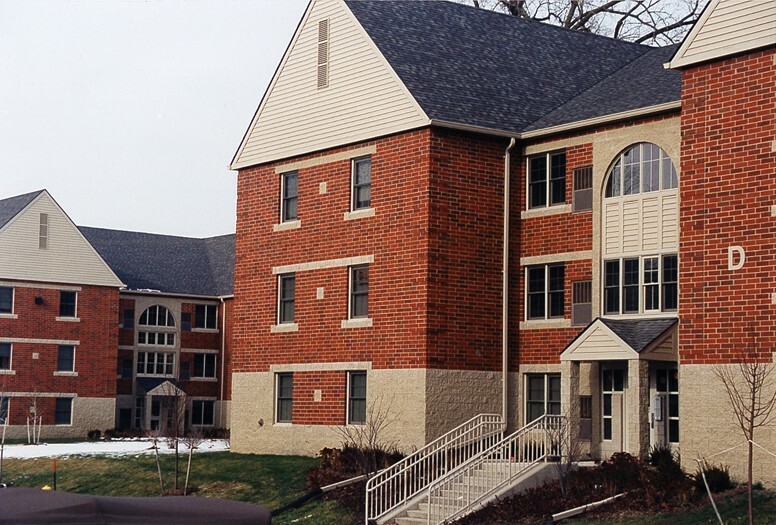 This project was a successful design-build collaboration that started by winning first place in a competition and culminated in an aggressive fast-track design/construction program. This project began with a design competition and ended with an inviting student housing enclave.